[SPECIAL VIDEO] SEVENTEEN(세븐틴) - tahanan Night Ver. which member would you want to date? Proposals for SEVENTEEN fandom name & u can suggestion madami names.. The boys of Seventeen will make your puso swoon in their 'Allure' pictorial, where they are dressed to the nines to head over to a late night party. Who had the most album sales for a rookie group so far in 2015? A netizen recently compiled data from Hanteo and created a chart displaying the album sales of rookie groups, ipinapakita how many album copies each group sold from the beginning of 2015 until the end of October. SEE ALSO: Super rookie group to hold a solo konsiyerto in December! Seventeen hasn't even been out for a taon and they're already making a big name for themselves! Super rookie idol group Seventeen will hold their first solo konsiyerto since their debut six months ago! According to an industry insider, Seventeen is prepping for its first konsiyerto which will be held this coming December. Though it will be a small-scale konsiyerto with just around 800 seats, holding a solo konsiyerto is a noteworthy feat considering that Seventeen is a rookie group. Now we are used to SeungKwan with a mic than SeungKwan running around in Jeju Island. SeungKwan, also known as MC Boo or DJ Boo, is quite off-the-wall saying that what he wants the most is battery for his mobile phone. 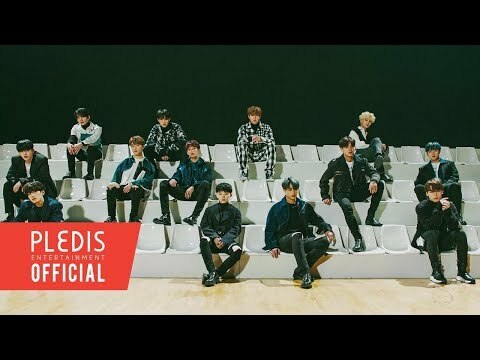 a video ay idinagdag: [SPECIAL VIDEO] SEVENTEEN(세븐틴) - tahanan Night Ver. Who is leader in vocal team?